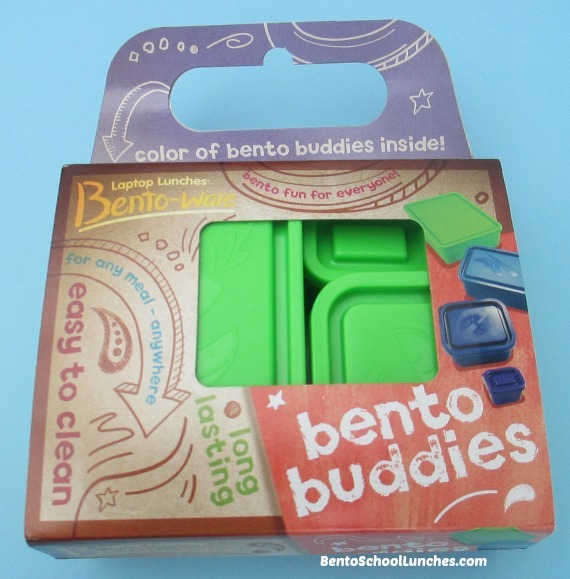 Laptop Lunches generously sent me their new Bento Buddies to review. 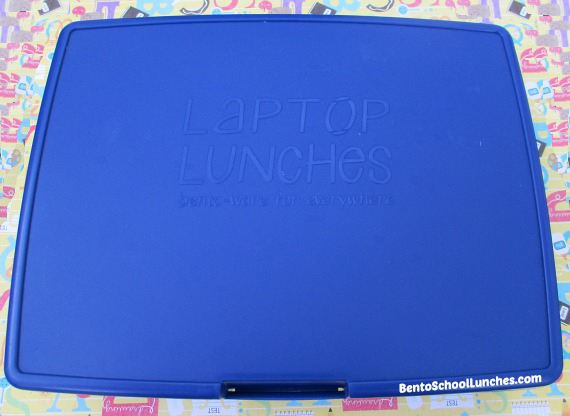 Earlier I wrote a review of their Laptop Lunches 2.0 bento box that can be read HERE and many of our lunches packed in it can be viewed HERE. 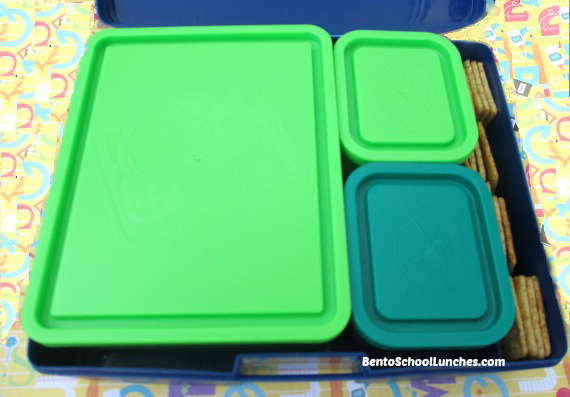 From their assorted colors available, I selected the gorgeous lime green bento buddies. They can be arranged in many different ways, using one container or all depending on what you decided to pack. 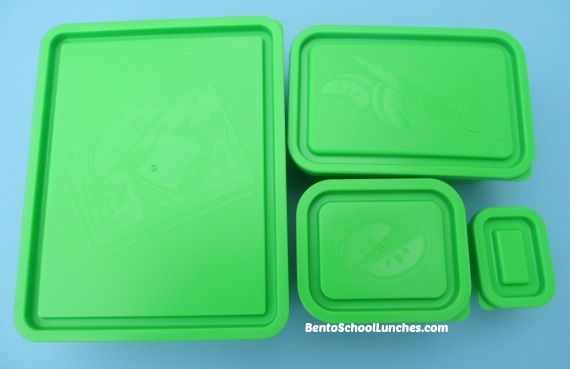 You could also mix and match the bento buddies containers with other sets but they are only compatible with the Laptop Lunches bento lunch box 2.0. For a day at school, I would usually pack a complete lunch in the Laptop Lunches 2.0. Their bento buddies can be used as a single container and I sometimes used them for some healthy snacks while running errands or packing myself a small lunch. I really appreciate that kind of versatility! The bento buddies are very sturdy, leak proof, microwave safe (the containers, not the lids) and dishwasher safe (top rack without heat-boosters). They contain no phthalates, lead, PVC and are BPA free. 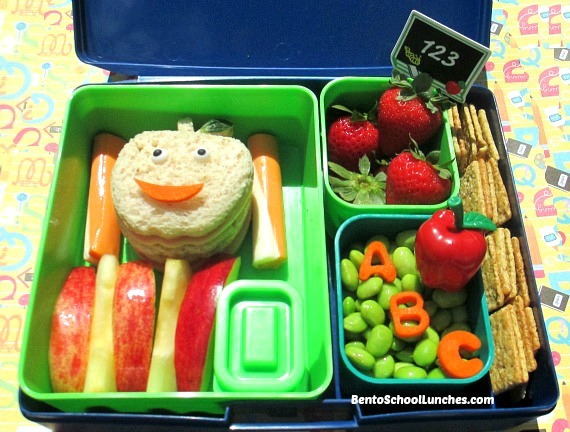 Here is a back to school apple bento. In the extra large container: Apple shaped sandwiches (stacked) with icing eyes and carrot mouth. String cheese halves and apple slices. Small container of caramel for dip. Top right: Strawberries with a chalkboard pick. Bottom right: Edamame topped with carrot lettering and an apple pick. Here is a photo of the containers with their lids. Picture of the containers which we received. Bento Buddies when we first received them. Disclosure: Laptop Lunches generously provided me with the items for review without cost to me. Other than receiving the items, I have not received any compensation to write this review. Cute lunch and I may have to copy this idea! I love the variety and whimsy in this lunch! it box layout is really like a laptop, slim. Love the colorful bento contents too! I always love your bentos. They are full of color, very appetizing, and definitely healthy.